Welcome home to 3912 Lee Lane! What a beautiful home set on a corner lot in East Pearland offering great curb appeal, cozy front porch & an awesome floor plan! Both formals living and dining, large family room with fireplace & huge bedrooms! The master retreat is extra large with high ceilings and pretty master bath with stepped garden tub & separate shower plus double vanity. The secondary bedrooms are a great size and offer nice closet space! Out back enjoy your private backyard with huge covered patio and 12×16 storage building plus double side gate for convenience access to backyard. Lots of updates including recent paint, laminate flooring & tile all downstairs and new carpet Dec 2018. 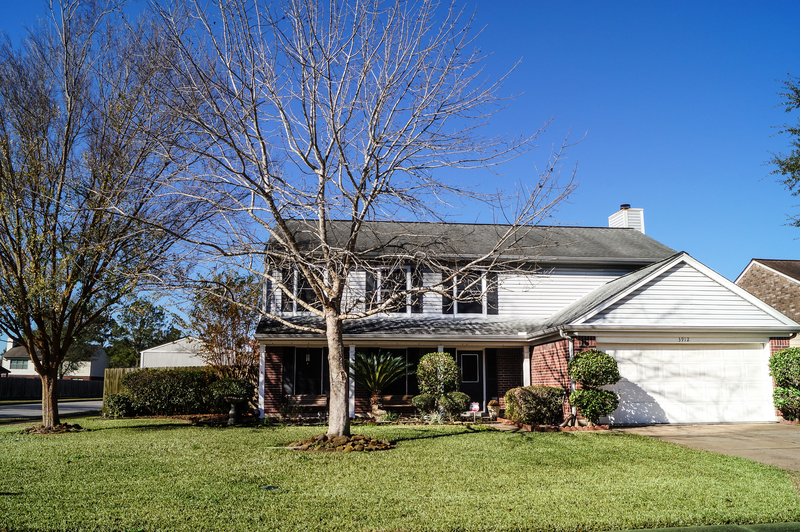 Call today for your personal tour…this home won’t be around long! Want this home & it’s perfect location yet would love the look of a newer kitchen or floors? We have a solution! 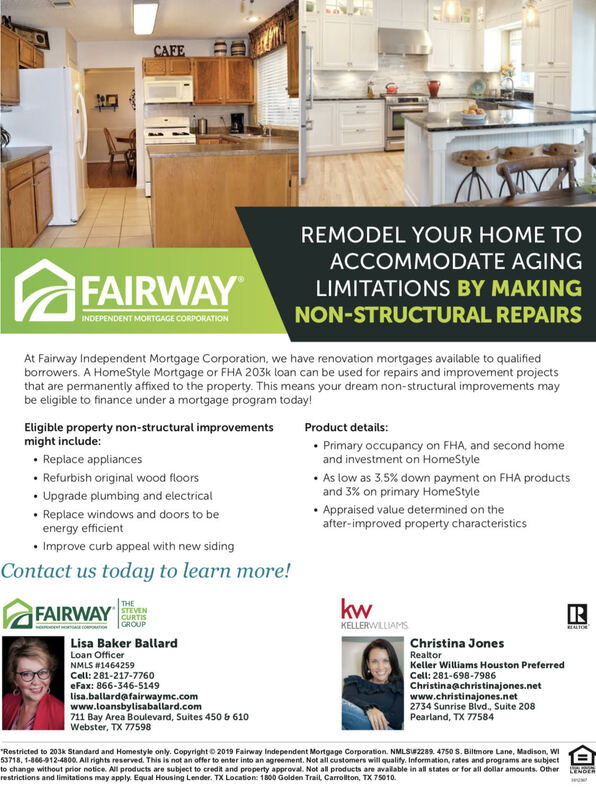 Call us or Lisa Ballard with Fairway Mortgage for more details!